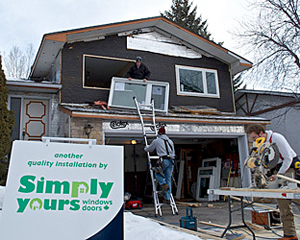 Simply Yours Windows Doors is owned and operated by John Soames. It’s a division of AFrame4Renos Inc. a general contracting company incorporated and licensed in the province of Alberta. John leads a dedicated sales, and skilled installation team that is actively meeting the growing demand for quality window and door solutions in the Alberta market. John is a Certified Master installer and understands what it takes to get the job done right – the first time. His team is well positioned to continue fulfilling the specialized needs of the local market, and the strong supplier partnerships he has cultivated ensure customers have access to a wide selection of products. Our expert team is available to answer your questions, help identify your needs, and discuss the possibilities that Simply Yours Windows Doors can bring to your home! We sell and install Jeld-Wen windows designed for our climate. These windows are energy-efficient and provide options such as glass coating and double and triple pane windows. Jeld-Wen windows are recognized as a leader in replacement windows in the industry. We also manufacture high-quality windows, our Factory Direct Windows, using energy-efficient glass which also allow us to sell an efficient non-brand-name window for less. 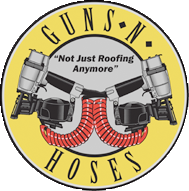 Check out GUNS N HOSES for roofing and more home improvement solutions.